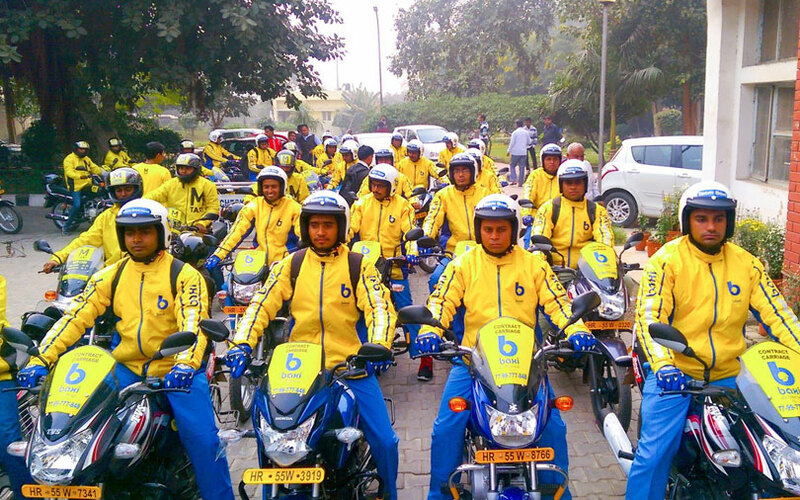 Bike taxi startups, which struggled to raise funds due to the threat of competition from the big boys of transportation service aggregators Ola and Uber, now seem to have weathered those challenges and are closing fresh funding rounds. Bangalore-based Rapido and Delhi-based Baxi will complete their ongoing funding rounds in the next couple of weeks, persons with direct knowledge of the matter told VCCircle. Rapido, incorporated as Roppen Transportation Services Pvt Ltd, which is backed by Google India managing director Rajan Anandan and Hero MotoCorp chairman Pawan Munjal, is close to completing a fundraise of around $3 million from existing and new investors, people aware of the development said. “We are in final talks for our next round. Our existing investors will participate in this round,” said Rapido co-founder Arvind Sanka. He declined to disclose further details while one of the persons cited above said 80% of the round has already been committed. Rapido last raised funds in April 2016. Meanwhile, its competitor Baxi, incorporated as 74 BC Technologies Pvt. Ltd, is raising an undisclosed amount, its co-founder Ashutosh Johri said. “We are making a profit on every transaction now. We are raising funds for scaling up the network,” he said. Baxi had previously raised $1.4 million seed funding in November 2015. Rapido operates in Bangalore and Delhi while Baxi runs its services in parts of Haryana and Uttar Pradesh. Dozens of bike taxi startups sprouted across various states in the past two years and a significant chunk of them shut down due to lack of funding, operational challenges and regulatory hurdles. Cab aggregator Ola, which also operates a bike sharing service, had in fact scouted for buyouts in the bike taxi space but it did not work out. Uber too had plans to beef up its bike taxi segment UberMOTO. Paytm-backed three-wheeler aggregator Jugnoo too has plans to enter the segment. According to industry insiders, hyperlocal delivery startup Runnr also briefly flirted with the idea of launching a bike taxi service, but it is currently inching closer to being acquired by Zomato. The bike taxi service is popular in parts of Africa and Southeast Asia, while it is yet to gain momentum in India. Indonesian bike taxi unicorn Go-Jek operates an engineering centre in India but industry officials believe it has no immediate plans to enter the local market. “Almost 10 states have eased regulations for bike sharing services and that influenced investor interest,” said Sanka of Rapido. “The opportunity is so big in India and we have barely scratched the surface,” said Kunal Khattar, general partner at venture capital firm advantEdge, who is an investor in Rapido. “In India 300 million people commute every day and cab aggregators are addressing only a narrow set of customers among them,” he added. Khattar, as an investor, is not bothered by the presence of Uber and Ola in the segment. According to him, small transactions in the range of Rs 40 to Rs 50 do not match their cost structures. “The bike taxi segment is not necessarily a winner takes all market. There are 180 million two-wheelers and 300 cities that would need this service. How much can one aggregate?” he asks.